Share Food Network order on its way to those who need it. One of the biggest challenges that any nonprofit faces is how to sustain itself over time. This is a particular challenge for nonprofits serving the poor. Since nonprofit social service organizations have always been seen as vehicles for people with means to transfer resources to people without means, the simplest approach was for the nonprofit to find good people with money to donate in support of whatever activity the nonprofit was conducting. Basically, the model was based on the philosophy of Blanche Dubois from Streetcare Named Desire who said, “I have always depended on the kindness of strangers.” While there are many kind people out there, there’s still not enough to fill the needs of the poor in our society. The reality is that, in order to be sustainable, nonprofit social services organizations need to build their models on something more enduring than altruism. This approach is sometimes called “social entrepreneurialism” which seeks to apply business principles to efforts that address social needs. A great example of this approach is the Share Food Network, a program that provides access to healthy, affordable food to people in Washington, Maryland and Virginia. 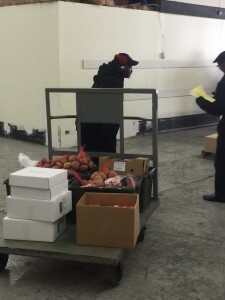 Its headquarters are in Hyattsville, but it serves food programs from Baltimore, Maryland to Newport News, Virginia. This program provides large quantities of food to programs throughout the region, but does not rely on charity. Instead, it leverages bulk buying and various other “schemes” (in the best sense of the word) to obtain food as inexpensively as possible. Then, the Share Food Network sells the food to programs giving them the full benefit of the economies of scale they are able to secure from their suppliers. The program makes great use of volunteers to keep labor costs low. Thus, this is a volunteer project with a great multiplier effect in that it ensures that the work you do allows the organization to provide the greatest possible benefit of its bulk buying to the programs. The “proof of concept” of this program is the fact that it is about to celebrate its 25th anniversary in April of this year. Share Food Network has a truly sustainable model in which all participants give a little to get a lot. And, as a result, hungry people get the nutrition they need. Happy Anniversary! Keep it up!